If you run a business, you’ve probably heard a thing or two about target markets. A target market is a smaller group of individuals that you do business with. While individuals within your target market are not the only people who buy from you, they are your “ideal” clients or customers. Many small businesses are scared to create an ideal customer because they fear marketing towards a small demographic will close them off to getting more business. While many business owners believe targeting specific individuals can hurt their chances of getting new customers, the opposite is actually true. When you identify your target audience, you can create products, services and marketing materials that better fit their needs. Instead of creating generic items, you can develop super specific content that will get you noticed. Customers and clients will feel like you’re speaking directly to them and their problems, ensuring they will come back for more when they need it. Identifying your target audience is not as difficult as it may sound. There is a good chance you already have the answers, you just haven't put them into a productive form yet. If you’re ready to see more business results and make more sales, here are a few steps to take in creating a customer persona. Every company should aim to solve a problem. Whether that solution is found in a product or service, companies need to know what their item can do to make a customer’s life easier. If you don’t already know, identify the problem that your business solves. For some, it may be obvious. Others may need to take a moment to consider how they can help. Once you’ve identified the solution you can provide, you’re able to cast a wide net over part of your target audience. While broad, your target audience will come from individuals who have the problem that you can provide a solution to. You may notice that your loyal customers are already from similar demographics. This is because, without even noticing it, your target audience can naturally gravitate to you and your business. If you’ve already begun attracting a group of similar customers, it is easiest to accept these individuals as your target audience. Take some time to do research on who is coming into your store or requesting your services. Consider your customers' gender and their age group. You'll also want to determine the which types of family you're serving and where they work. If you’re an online business, you’ll also want to work at the location they live. Other factors to consider include how much money they make, their education level, and their hobbies. Examining what your competition is doing is a great way to get started with your target audience. While they are already your competitors, you won’t be successful if you try and enter into the exact same space they are already occupying. To get the newest business, you’ll need to differentiate somehow. Look at every aspect of the demographics that are currently loyal to your competitors, then find a place that they may be ignoring. This may be a certain age group, income level, or gender. It may also be a certain location. Considering what areas your competition are leaving open can be a great way to find a target audience with minimal competition. Creating a profile of an ideal client does not mean that your only clients will fit that description. However, targeting just one individual can help you create an overall target audience. To create your ideal client, you’ll want to think about who you would like to do business with if you could select anyone in the world. You’ll want to answer questions like what gender they are, what their family is like, what education level they have, how much money they make, and more. As you answer these questions, you should be considering the demographics that go along with them. 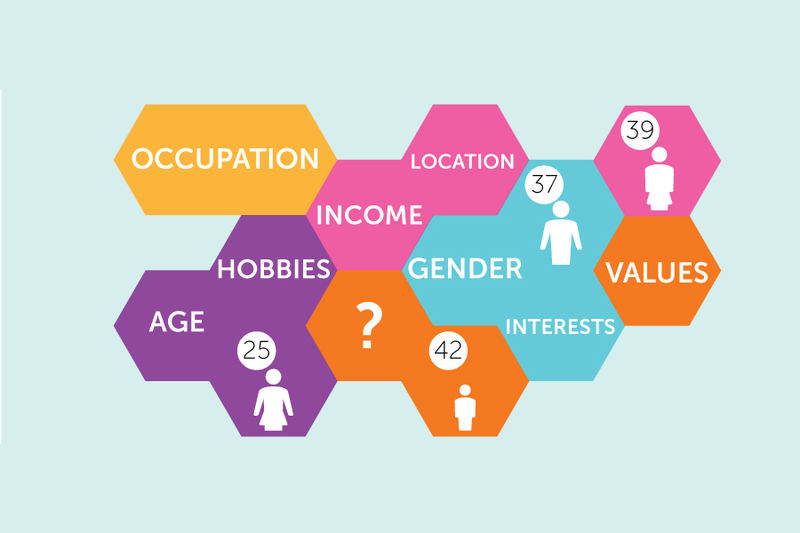 These demographics will then be used to describe your target audience. To complete your target audience, you will want to know age group, gender, family size, spending habits, income level, hobbies, education level, and more. The more specific you get, the easier it will be to target. After you’ve created your target audience, you need to determine whether or not it is a realistic group. If the target market you’ve created is not looking for your product or considering purchasing your product, then you won’t find business success. Consider whether or not your target audience can afford your product and if they are the individual making the purchasing decision. This is especially true if your ideal customer is someone too young to make purchases for themselves, such as teenagers. You will also need to consider whether or not your target audience will be easy to reach. If you believe that your target audience may make it more complicated to market, then you may need to consider making some changes. These changes may be to the products and services you offer, the way you market, or even to the target audience you’ve established. Knowing your target audience can help you make better decisions when creating and selling your products. When you know exactly who you're going to sell to, you can make strategic decisions to catch their attention and make more sales. Follow these five steps to create the ideal client persona that fits your needs, but remember to always evaluate and make changes. If your target audience stops responding to your messaging, it may mean that their needs have shifted. By always researching and paying attention to what problems they're looking to solve, you can always reach your target audience effectively. SCORE Chapter 87 | Volusia Flagler is a nonprofit association dedicated to helping small businesses get off the ground, grow and achieve their goals through education and mentor-ship. We have been doing this for nearly fifty years. We started in 1965 and in 2015 we marked our 50th anniversary.